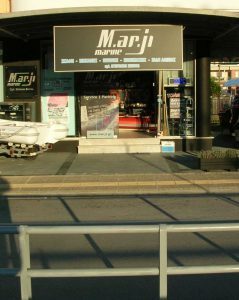 Marji marine is engaged into trading , maintenance & repair of pleasure crafts and marine engines since 2004 . In a covered area of 300 square meters can implement successfully any modern construction or architectural requirement on boats. The company has a workshop for outboard marine engines , where we do tests , repairs , installation and maintenance (service) of machines. Our technicians are trained on the latest technology engines , and they are equipped with all the electronic diagnostic tools from companies we support. Marji marine owns a private space for hosting boats with dimensions from 3m to 15m. We store the boats observing all the rules of safety and security.